Boozy picnics, frisbee games, and straight loungin' on Sheep Meadow: warm weather days are finally here, and there’s no better place to enjoy the great outdoors (or just take a break from crazy city life) than in beautiful Central Park. There are dozens of awesome eateries within walking distance of the perimeter, from old-school delis to high-end restaurants to burger joints. Skip the dirty-water dog vendor, and check out these great go-to spots (organized by location) around the Park. This two-Michelin-starred seafood spot off the Park’s south side dishes up high-end Italian eats in an elegant setting. The house-made pastas are excellent, like the fusilli with red wine-braised octopus and bone marrow, and the fresh oysters, crudo, and seasonal fish specialties are all legit contenders. Straight outta New Delhi, Chef Manish Mehrotra’s first international outpost of his acclaimed restaurant focuses on authentic Indian flavors and seasonal, global ingredients. Tucked into to Le Parker Meridien, this fine-dining newcomer offers all the classics and traditional curries alongside progressive dishes with a creative twist. Bonus: there's a late-night menu available, so you still can get your butter chicken fix at 1am. Whether you call them hotcakes, griddlecakes, or flapjacks, this is the place for cakes made in pans (pancakes, if you will) on the south side of Central Park. For more than 20 years, the pancake pros at Sarabeth’s have been serving up stack after stack of fluffy rounds in tasty flavor combos like lemon ricotta with blackberries, and buttermilk with strawberries. Back in the '80s, the original Jams (on the UES) helped spark NYC’s farm-to-table movement -- now, the produce-driven concept has resurfaced on the south side of the park, and it's still just as good. The Cali-style menu features nonstop hits, like the Jams pancakes with red pepper, smoked salmon, caviar, eggs, and crème fraîche; and the pan-roasted fluke with morels, fiddleheads, green garlic, spring onion, and spiced pistachios. This super-luxe stunner on the 35th floor of the Mandarin Oriental offers spectacular panoramas of the skyline and Central Park -- perfect for sipping well-crafted cocktails and enjoying caviar flights, if you’re into that sort of thing. Get there early or book a res in advance to score a window seat: the view alone is worth the steep price tag. An Upper West Side institution since 1908, this classic Jewish deli hasn’t changed much in the last century -- and that’s a good thing. Locals argue that Barney's has the best smoked and cured fish in town, but the chopped liver sandwich and Nova Scotia smoked salmon scrambled eggs are also worth waiting in (the inevitably long) line for. Just be sure to hit the ATM first, since it’s cash-only. 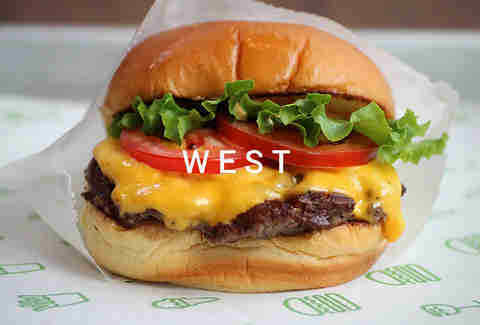 After the original Madison Square Park stand, Danny Meyer opened a second location of his now-global elevated burger chain in 2008 across from the American Museum of Natural History -- and only a block from Central Park. There aren’t enough great things to say about the signature ShackBurger with its juicy, flavorful LaFrieda beef, melty American cheese, secret sauce, and LT on a soft potato bun. It’s simply perfect every time -- the ultimate classic to curb all burger cravings. An afternoon at the Park followed by the Shack sounds pretty damn glorious to us. Southern comfort is the name of the game here, with a brunch menu boasting buttermilk fried chicken, scratch-baked biscuit sandwiches, and house-pickled everything. You'll also find one of the best Bloody Marys in town: served in a Mason jar and garnished with a stalk of romaine, crispy bacon strip, and half a seasoned hard-boiled egg, it has just the right balance of briny and spicy flavor. Ed Schoenfeld’s Uptown outpost of his West Village original has the same rustic farmhouse feel and super-charged dim sum menu, with outdoor patio seating as an added bonus. The 'Pac Man' shrimp dumplings and egg rolls made with Katz's pastrami are pure Insta-gold, in addition to being legitimately delicious, but don't skip out on the BBQ pork belly, pork and crab soup dumplings, and roasted duck noodles. A bit pricey for Chinese, yes, but totally worth the splurge. This Torrisi spinoff brings all the Italian-American classics of the Mulberry St original Uptown -- think meatball subs, baked clams, ziti, and (of course) the namesake Parm. The latter is the real reason you're stopping by: seasoned, breaded chicken covered with rich red sauce, basil, and gobs of mozz on a soft, sweet semolina roll or sesame hero. No empty seats in sight? Grab your Parm from the sandwich takeout menu and head to the Great Lawn. The original Patsy’s in Harlem has been a New York dining institution since 1933, famous for its family-oriented setting and “old-world” style brick-oven pies, pasta, and calzones. Now a pizza dynasty with multiple shops across town, this place still serves some damn-good pizza -- stop in for a classic, super-cheesy, thin-crust slice (only $1.75), or better yet, go all in and order the full pie. No judgement here. This elegant, award-winning bistro focuses on fine French fare and precise presentations. 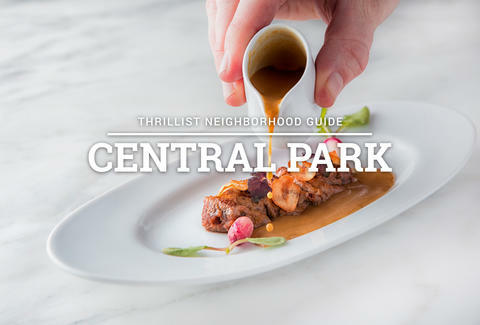 Expect a high price tag and beautifully plated dishes (like escargots and smoked foie gras) inspired by Chef Daniel Boulud's four culinary muses: classic French cuisine, seasonal delicacies, the vegetable garden, and flavors of world cuisines. Try to land a prime spot on the terrace for an “ooh la la” outdoor dining experience. After moving from its original Queens location in the late '90s, Pastrami Queen began serving overstuffed sandwiches and house-cured offerings to hungry Manhattanites. Uptown’s slightly cheaper answer to Katz’s, the pastrami sandwich here is glorious: a few inches of warm, smoky, thick-cut pastrami piled high between two seedless slices of rye. Order it with Russian dressing and one of the hearty sides, or as part of a massive triple decker. 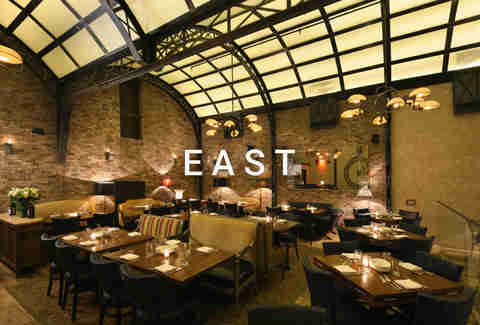 Old New York setting with contemporary cuisine. Steak and sushi and pommes frites. Seems like a lot is going on at Laurent Tourondel's big and buzzy restaurant, but it all somehow works, really well. The stylish, split-level space and menu of steakhouse specialties (like the signature BBQ-rubbed, double-cut, bone-in NY Strip), classic chops, and simply grilled seafood works as well for a business meeting as it does for a guys’ night out or a special dinner date. You don’t have to be a veg-head to appreciate the creative, farm-to-table approach at the sophisticated sister to Candle Cafe. The healthful, seasonally shifting cuisine is so well-crafted and delicious, you won’t even miss the meat in dishes like the Moroccan spiced chickpea cake, chocolate mole grilled seitan, and wild mushroom crepe with garlic truffle aioli. Even the wines and cocktails here are eco-friendly, so you'll be saving the planet as you tipple. Be sure to try the chocolate peanut butter bliss dessert (it just might make you a convert). Grab your beau and head to this romantic oasis situated on the roof of the Metropolitan Museum, offering sweeping views of Central Park and the skyline beyond. Bonus: you’ll get a dose of culture by taking in temporary art exhibits while enjoying martinis, wine, and light bites. This should be your first-stop date move since the bar isn’t open late, and it can often get crowded or flooded with tourists -- try getting there early on a weekday. When you’re real hungry and craving comfort food, Melba’s is the answer. Opened in 2005 by visionary founder Melba Wilson, this South Harlem soul-food staple is most beloved for its “down-home” classics and Southern-style fried chicken -- crispy, well-seasoned, and juicy inside, served (during dinner and brunch) with eggnog waffles flecked with cinnamon and nutmeg. Known as Harlem’s hottest cantina, this casual Mexican spot turns out homestyle tacos, burritos, and other large portioned, meat-and-cheese-stuffed Mexican dishes at prices that won’t leave you in tears. Score killer specials during brunch, $3 a pop tacos (on Taco Tuesday, natch), and a daily happy hour of marked down margs, mixed drinks, and cervezas, with an extensive tequila list to boot. 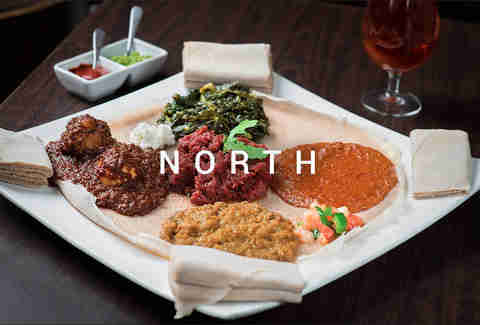 If you’ve never tried Ethiopian food, Zoma is a great place to start. 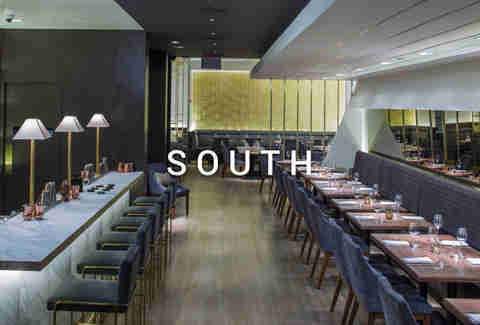 You’ll find a sleek setting and menu of elevated dishes made from fresh ingredients and a multitude of herbs and spices. Everything is served with traditional injera: a large sourdough crepe that's perfect for dipping into slow-cooked stews and soaking up saucy marinated beef, lamb, chicken, or vegetarian plates. And there’s no shortage of heat here, either -- dishes range from mild, to spicy, to holy-crap-why-did-I-eat-this. NYC has an abundance of great sushi spots -- from high-priced, “best of” list types to under-the-radar gems. This small and cozy mom-and-pop Japanese hideaway falls squarely into the latter group, serving up super-fresh sushi and sashimi, speciality rolls, creative bento boxes, and more. And best of all, it’s surprisingly affordable -- the lunch and early bird specials are particularly good deals. Megan Murphy (aka “This Girl Can Eat”) is a contributing writer at Thrillist and you can find her this spring at the Great Lawn with a cheese plate and rosé in a Solo cup. Follow along on her culinary adventures on her website, Twitter, and Instagram.